From a young age, Dr. Rick always knew he had an interest in helping others, which initially led him to begin his college years pre-med. About halfway through, however, he realized the philosophy of “sick care” wasn’t what he wanted to bring to families. Around this same time, he had the opportunity to speak with a chiropractor—after just one conversation, he decided it was the perfect path for him. Dr. Rick later enrolled at the renowned Palmer College where he received his Doctor of Chiropractic. Ever since, he’s enjoyed helping families understand what it means to be truly healthy, naturally. Dr. Rick believes that while chiropractic care can address and relieve common symptoms like back or neck pain, its benefits are much more far reaching. When you’re nervous system is functioning exactly how it was designed, without interference, your body’s innate ability to heal itself is restored. This means you’ll move better, feel better and simply put, live better! 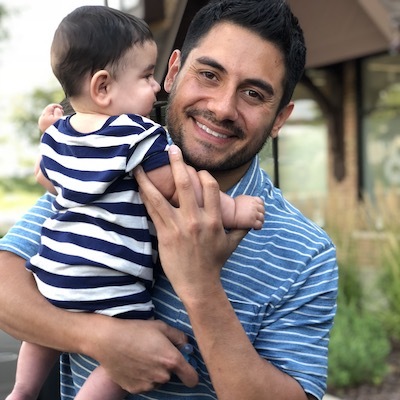 In addition to holding his chiropractic degree, Dr. Rick is certified in nutrition and regularly works with families to develop a better diet plan for their unique needs. When Dr. Rick isn’t changing lives in the practice, he enjoys spending time with his wife and two children. He and his family are very active and love soaking up the outdoors. When he and his wife can find the time, they enjoy a good date night. Want to learn more about Dr. Rick and his chiropractic philosophy at Optimum Wellness Chiropractic? We’d love the chance to meet you and your family. Contact us today to book your first appointment—ask us about our competitive family pricing!